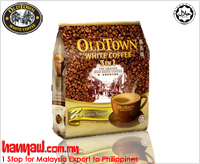 Han Yaw Enterprise also takes pride to export various flavors of Old Town White Coffee. The brand which is not just famous for serving finest possible coffee but it is also one of the largest kopi tiam eatery chain in Malaysia. Old Town came into being in 1999 as a manufacturer of instant beverage mixes and products but in 2005 the brand had stepped into the food service sector with the opening of a chain of café outlets under this brand name. At present, Old Town is meeting the instant beverage mixes requirement of millions of in over 10 countries. 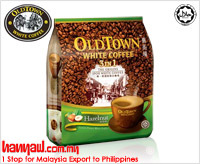 Being one of the most trusted sources for Malaysia products to food importers and distributors, Han Yaw exports four popular flavors of white coffee.